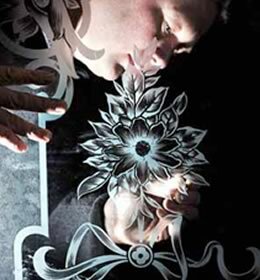 Acid etched glass, also known as French Embossing, offers greater versatility than sandblasting because it creates a wider variety of specialised finishes and increased degrees of transparency. 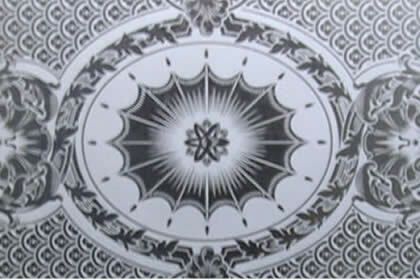 It also produces a more refined frosted/obscured pattern in the glass with a distinctive satin-like appearance. 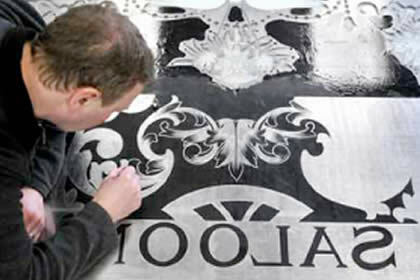 Our expert craftsmen can combine an acid etched finish with other effects, including painted and sandblasted. Contact us for details. 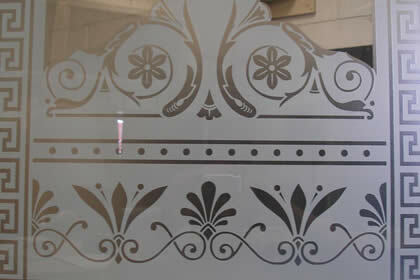 Gilding is a traditional technique related to acid etching, which involves the application of loose leaf gold to the back/underside of the glass to form an elegant effect. 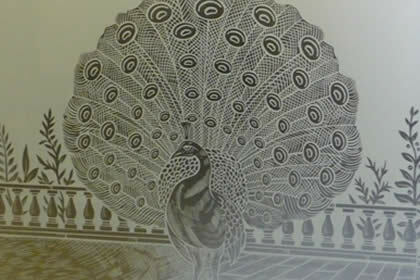 By working on the back of the glass the gold is protected and the patterned glass can be cleaned safely to maintain a pristine appearance.